The summer holidays are rapidly becoming a fading memory and another academic year is in full swing. How will I do this year? Will I have a good work-life balance? Will I have time, energy and enthusiasm for the things that are truly dear to me or will I feel like I am swimming upstream, desperately trying to get everything done that I need to get done? In the past, I have had periods of life where people admired how I managed to be a teacher and still be so chilled out during the term time; I have also had periods of work where I feel like I am clambering through a jungle, desperate to get to the other side where there is time; time for housework and shopping, time for sleeping and cooking, time to care for people well, time to breathe, time to exercise and do personal admin. During those periods, I drive home from work taking deep breaths; normally necessary because of the stress of having too much to do and too little time. This year I am determined to crack it. To have a good work-life balance. How? Remember who I am. First and foremost, my identity is not in being a teacher. My identity is in Christ. I am His. I belong to Him. 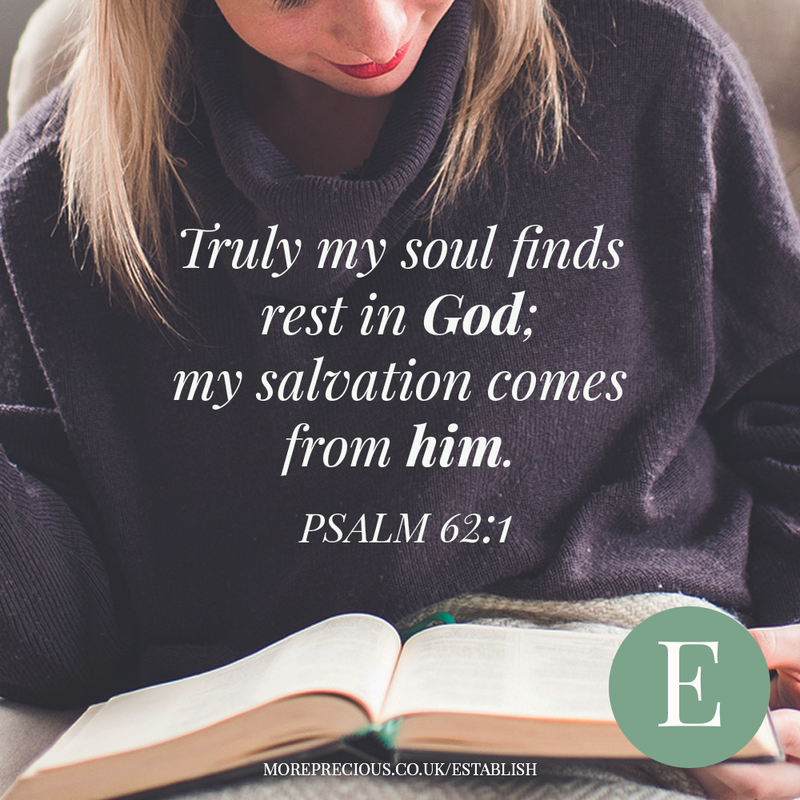 Truly my soul finds rest in God; my salvation comes from him. (Psalm 62:1). All the work in the world will not save me and I do know this; however, it is so tempting to try to save myself by working hard, doing well, earning money, saving money, having financial security. I want to rest in God. To do this I must know him. I want to read his word. I start my day by spending time with God over breakfast and a cup of coffee as I read the Bible and pray. With the long list of things I want to do in the evenings (often I’m very ambitious in what I aim to do in a few hours), I don’t want THE MAIN THING to get squeezed out. I try to get to bed early so when my alarm goes off in the morning I’m ready to get up and enjoy my time ‘resting in God’. Similarly, I prioritise going to church on Sundays and going to the church prayer meeting. I mentioned the jungle earlier. I regularly check that I am in the correct jungle! Each year, normally in the spring, I spend some time praying about where I am, what I am doing and am I still where God wants me to be. In Psalm 16:11 David, who has been struggling for his life, reminds himself of who God is and says to him, 'you make known to me the path of life'. When I know that I am on the path of life and I am where God wants me to be, I am confident that he will lead me through that jungle. He will give me everything I need for each day. I may not have boundless energy but I will have enough. One day at a time. The Lord is our supreme treasure and all good things come from him. Work comes from him. It is a blessing to have a job, to be healthy enough to get up and go to work. I enjoy my work: being a teacher you get some great stories, great moments of joy and a real sense of purpose; it is a real privilege to be able to influence and shape young lives. As I search for the work-life balance, it is helpful to remember that work is an important part of my life, it is one of the good things that the Lord has blessed me with. Jesus, when he walked the Earth, was called Teacher and I have the honour of having that title as well. So as I seek a work-life balance I wonder if a more worthy balance would be: Jesus my rock and my fortress at home and Jesus my rock and fortress at work. Dawn has been living in Cambridge for ten years, although she is still very much Northern Irish at heart (and by accent). A part of her heart also belongs to South Africa where she worked for Scripture Union before coming to England to do her PGCE. 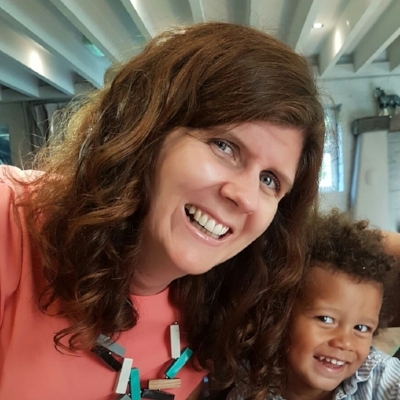 She is a primary school teacher and is currently teaching a class of Year 3 and 4 children. She also has a few godchildren, 4 nieces and 2 nephews. Dawn loves Jesus, the Bible and the Church. She is part of the church family at Christ Church, Cambridge.